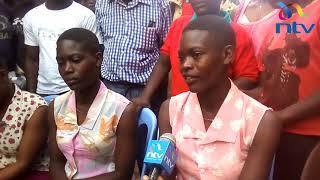 Ms Otieno and Daily Nation Homa Bay correspondent Barrack Oduor were abducted on the morning of Monday, September 3. 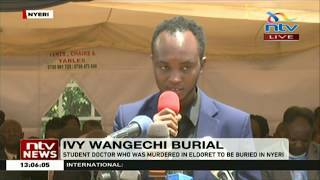 The body of the second-year medical records and information student at Rongo University was found in a thicket in Oyugis on Wednesday. Sharon Otieno was killed in a knife attack of such astounding brutality — even the unborn child in her womb suffered stab wounds which likely killed it, according to police officers on the investigation. And so audacious was the slaughter of the seven-months pregnant university student that law enforcement bosses in Nairobi have taken a personal interest in the investigation, with the Director of Criminal Investigations George Kinoti leading it and Chief Government Pathologist Johansen Oduor taking charge of the science. Ms Otieno, 26, had planned to meet Migori Governor Okoth Obado’s personal assistant Michael Oyamo “as usual” and later return home safely to her parents. The body of the second-year medical records and information student at Rongo University was found in a thicket in Oyugis, Homa Bay County, on Wednesday. 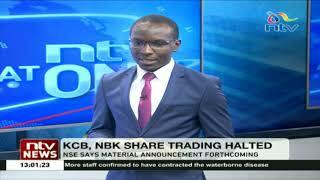 Mr Oyamo’s agenda, according to Mr Oduor and Ms Otieno’s relatives, was to deliver a response regarding an alleged affair Ms Otieno had been having. On Monday, in the company of Mr Oduor, she set out to meet Mr Oyamo — now in police custody — at Rodi Kopany but the venue of the meeting was changed to Rongo, 30 kilometres away, where they gathered at Graca Hotel a few minutes past 6pm. According to Mr Oduor, Mr Oyamo called Ms Otieno and asked whether she was with the journalist before proposing change of venue one more time. 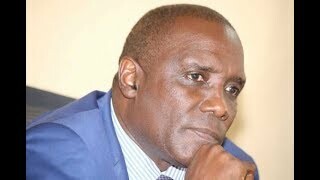 “At half past seven in the evening, Mr Oyamo arrived at Graca Hotel, where he visited a toilet and returned with a suggestion that we move if he was to disclose any meaningful information from Mr Obado. At this time I felt uneasy and asked Sharon whether it was right to leave but since she had in the past met Mr Oyamo, we did not imagine he would be part of people (intending) to harm us,” Mr Oduor recalled. He said they left the hotel and Mr Oyamo ushered them into a waiting car which had a driver and another occupant in the co-driver’s seat. Mr Oduor said that, at that juncture, Mr Oyamo alighted and the two men hurriedly boarded the car — one sitting on the left side of the back seat and the other on the right side. “They sandwiched us. I and Sharon sat close to each other and the driver sped off. We tried to ask why Mr Oyamo had been left behind but the four unfamiliar occupants ranted at us and ordered us to give them our mobile phones and other personal effects,” added Mr Oduor. He said that, moments past 8pm, after driving for about 70 kilometres and arriving at Nyangweso Centre along the Homa Bay-Kisumu road, the two men sandwiching them started harassing them. “Sharon had started crying. The man on her side held her back while the one who was seated next to me reclined his seat and held my neck, attempting to strangle me.” He struggled in self-defence, jumped out of the speeding car and vanished to nearby homes. “I sustained bruises on my palms and knees and when I looked up, I saw the two men get out of the car that had now stopped and run towards me. I got into one of the homes and after some minutes a man who was in the house drove me to Kadel Police Station. “At the station, I narrated my case and was taken to Kendu Bay Police Station,” he said. Ms Otieno’s mother Melida Auma, who was overwhelmed, recalled how she had opposed her daughter's relationship with “a politician”. 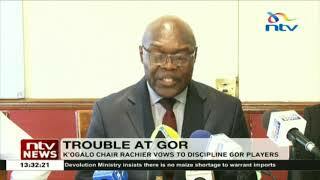 Governor Obado’s spokesman Nicholas Anyuor said the governor will, for now, not be drawn into the matter, “which is under police investigation, because he has not been implicated in it”. He will only comment if he is required to do so by the police, he added. The student’s grief-stricken father Douglas Otieno, who identified the body, spoke only briefly to the Nation. Ms Otieno’s body is at Rachuonyo Level IV Hospital in Oyugis, Homa Bay County, where relatives and friends viewed it. Reports indicated the body was found at Kodera Forest, but the Kenya Forest Service station manager Justus Kyambo said it was found some 15 kilometres away from the forest. “Normally, police inform us whenever a body is found here but in this case, they didn’t. We heard it was found about 15 kilometres from here,” Mr Kyambo said. Homa Bay CID boss Daniel Wachira said the body was found in a thicket by members of the public, who called the police. In Migori, students of Rongo University staged demonstrations along the Rongo-Migori-Sirare highway, causing a huge tragic snarl-up. The students demanded that police question Mr Obado over their colleague’s death. “We are demanding the unconditional arrest of Governor Obado to explain what he knows about Sharon’s death,” said Mr Peter Otieno, a student. Radio Lake Victoria's Basil Okoth says he has been receiving threatening calls.